The third annual Design Showdown live student presentations were held during Boston Design Week. Design Showdown is a competition hosted by Design New England in which design students are challenged to imagine a live/work space that combines innovative design, functionality and elements of social responsibility. The third annual live student presentations were held during Boston Design Week. 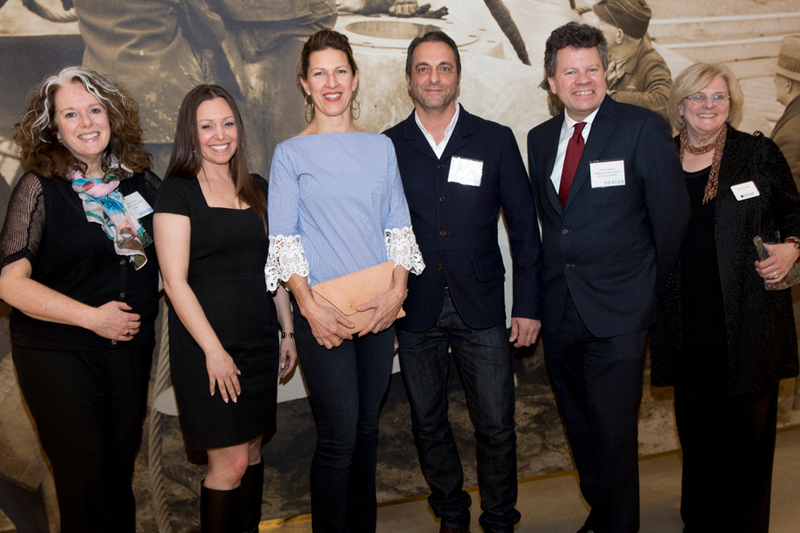 John DaSilva served as a judge for the competition, along with Michael Ferzoco of Eleven Interiors, Lucianna Lucarelli of TRIA, Jeanne Finnerty of Jeanne Finnerty Interior Design and Sarah Lawson of S+H Construction (all pictured here with Gail Ravgiala, Editor of Design New England). The young design talent that submitted entries initially, and the eight finalists who presented show remarkable promise for the profession! Congratulations to the Design Showdown 2017 winners: Yennifer Pedraza (First Place Winner), Ashley Crosby (People's Choice Winner) and Julia Jenko (First Runner Up).